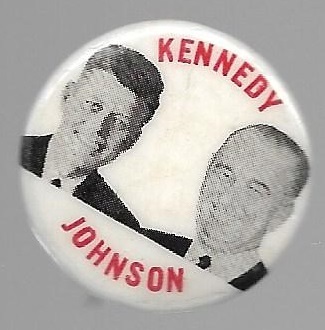 This design is the only 1 inch JFK-LBJ jugate from 1960. It's a great little celluloid pin, offered here at a very good price. Excellent condition.